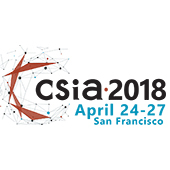 The annual CSIA Executive Conference is the highlight of the professional year, when over 500 system integrators and industry partners meet to network, hear outstanding speakers, share best practices, and learn about new products and services. In addition to strong educational programming, the Partner Industry Expo and Reception will showcase the latest products and services from industry supplier, manufacturer and service provider members. Join fellow SIs and industry partners from around the globe to build connections, exchange ideas and have fun! Themed “Growth Through Innovation and Sound Business Practices,” the 2018 Executive Conference offers a dual track approach focused on taking the next step in “transformative business models” while maximizing growth through CSIA Best Practices. All while enjoying the sights, sounds and tastes of one of America's most influential and innovative cities: San Francisco! Founded in 1994, CSIA is a not-for-profit, global trade association that seeks to advance the industry of control system integration. Control system integrators use their engineering, technical and business skills to help manufacturers and others automate their industrial equipment and systems. CSIA helps members improve their business skills, provides a forum to share industry expertise, and promotes the benefits of hiring a certified control system integrator. CSIA has more than 500 members in over 30 countries.